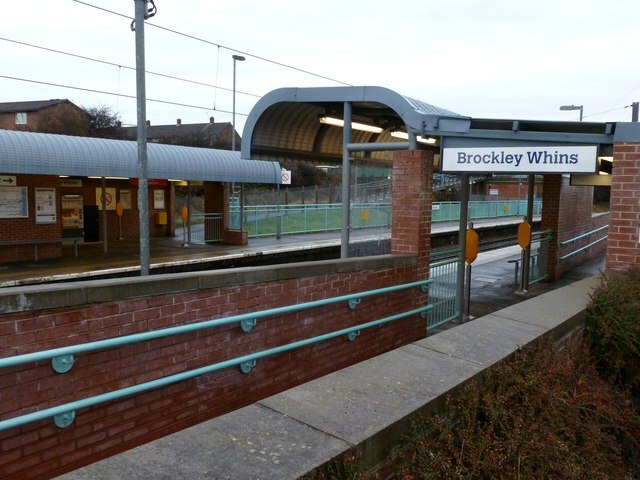 Brockley Whins Metro station is on the Tyne and Wear Metro Green Line. 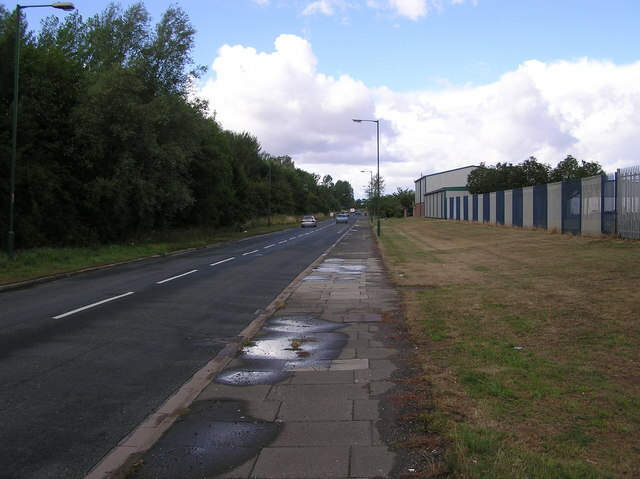 It serves the Brockley Whins area of South Tyneside, England. 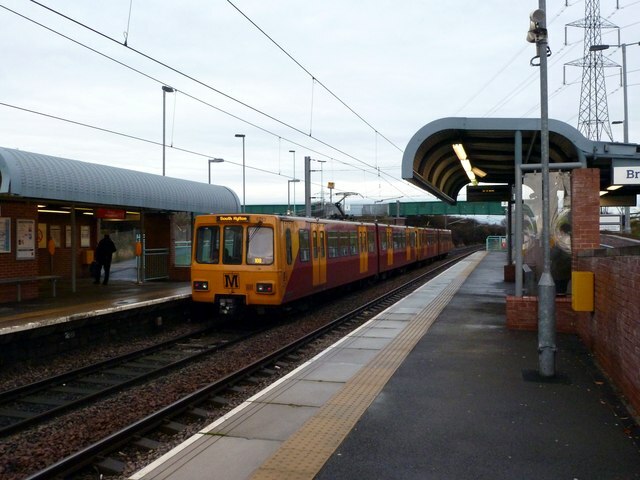 The station was formerly served by mainline services between Sunderland and Newcastle Central station but was taken over by the Metro as part of the extension to Sunderland and South Hylton in 2002. Today the services operated by the current franchise holder Northern pass through the station but do not stop. There are also a few freight trains (mainly imported coal) that use the branch line that diverges just west of here en route to the deep water terminal at Tyne Dock, and empty Grand Central workings between Heaton depot and Sunderland. The original 1839 Brockley Whins station, on the Brandling Junction Railway, only had a platform on the down line (towards Newcastle). This meant trains towards Sunderland had to cross over onto the opposite track to allow passengers to board and alight (an arrangement quite common on other railways in the area, e.g. Crook). This single line working arrangement resulted in an accident causing five deaths on 6 December 1870 and the building of a second platform originally some distance east of the other, as well as changes to the law. When the station was converted for Metro use, the "down" (westbound) platform was relocated opposite the "up". 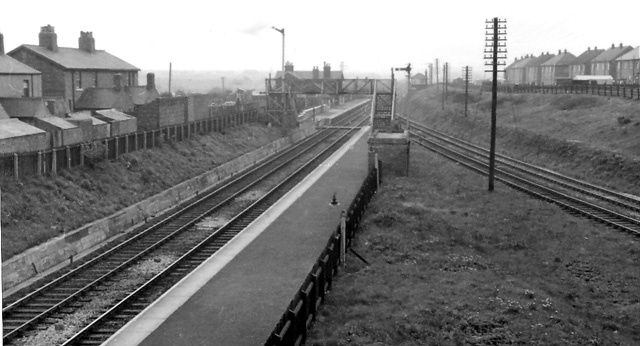 The station was for many years a busy junction, as the former Stanhope and Tyne Railway route from Tyne Dock to Consett & Waskerley via Washington crossed the BJR on the level just to the east of the station at Pontop Crossing with various curves being laid in to connect the two. This route was subsequently taken over by the Pontop and South Shields Railway in 1842 and two years later became part of the newly opened Newcastle and Darlington Junction Railway main line from the south. 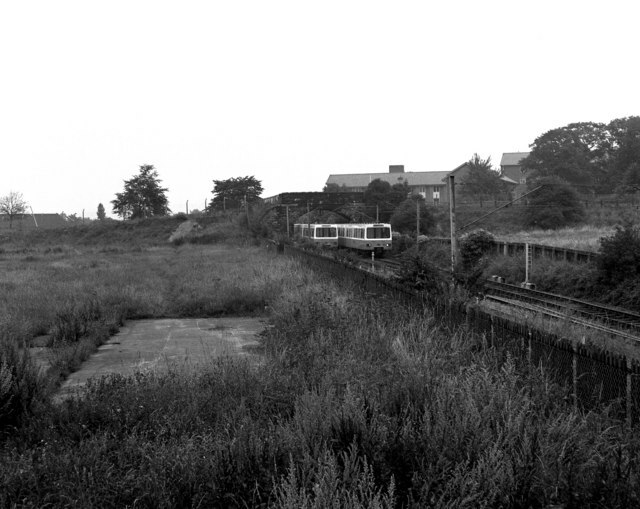 Trains on this line used a sharp south to west curve to reach Brockley Whins before continuing west to Newcastle over the BJR until 1850, when a more direct route via Usworth to Pelaw was opened for main line trains. The ex-S&T/P&SS line henceforth only carried passenger traffic at its northern end (primarily between South Shields and Sunderland) but remained heavily used by mineral traffic from nearby Boldon Colliery and also by iron ore trains from Tyne Dock to the Derwent Iron Company works at Consett right up until the final closure of the Pontop to Washington line in November 1966. 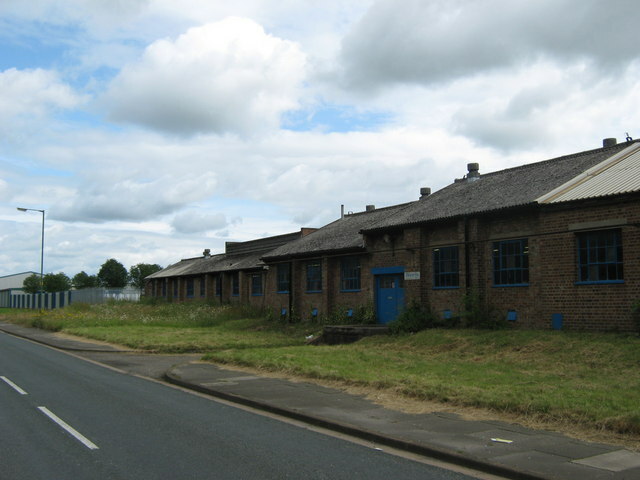 The Tyne Dock branch stopped carrying passenger trains from the Newcastle direction back in 1853 (when services on the line from Washington also ceased), but is still in use for freight traffic to this day. The station was renamed as Boldon Colliery by the London and North Eastern Railway from 1 March 1925, but reverted to its original name in July 1991. Text from Wikipedia, available under the Creative Commons Attribution-ShareAlike License (accessed: 27/04/2017). 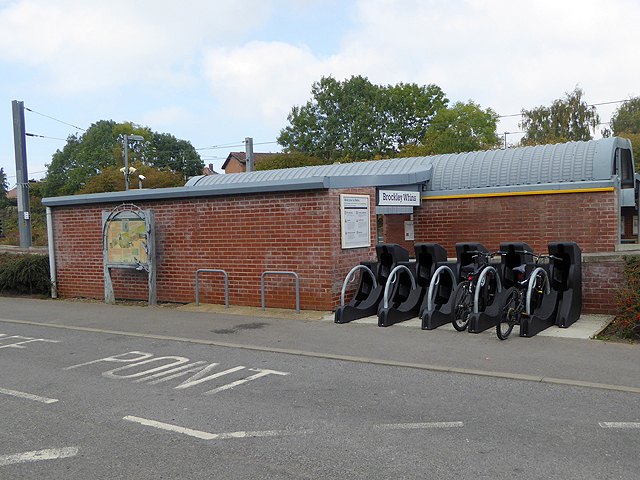 Visit the page: Brockley Whins Metro station for references and further details. You can contribute to this article on Wikipedia. 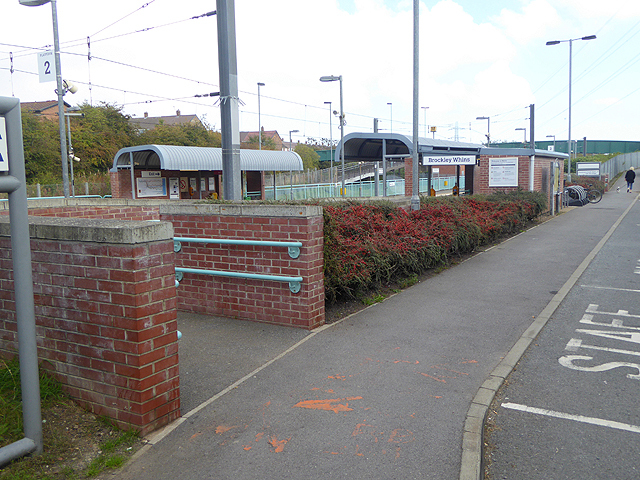 - "The station was at the junction of the North Eastern Railway, South Shields and Sunderland Branches, with an unnamed spur..."